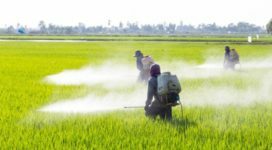 The toxicity of Pesticides is not only a result of the active principles declared by manufacturing companies, but also of co-formulants, which are often kept hidden or unreported in the authorization and marketing process. The alarm comes from Professor Gilles-Eric Séralini of the French University of Caen who has recently published his latest study in the journal “Toxicology reports”, which shows that glyphosate-based herbicides contain heavy metals, such as arsenic. These co-formulants are not declared or declared as “inert”, and are covered by industrial secrecy of manufacturers, despite their proven toxicity: tested on human cells, co-formulants, composed of petroleum residues, have a very detrimental effect as they act as endocrine disruptors. Seralini’s report confirms what has already been denounced by Navdanya and multiple civil society organizations at the recent Monsanto Tribunal and on subsequent occasions: the regulatory processes are far from transparent and democratic, as big agribusiness companies are able to intervene in political decision-making and interfere with regulatory agencies procedures. Consequently, the health risks of consumers and workers are very high. 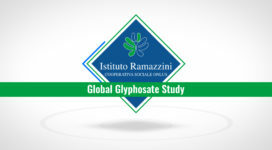 On the occasion of the Monsanto Tribunal, Navdanya International had interviewed Professor Seralini when were anticipated the results of the study now published. Glyphosate was patented by the Monsanto Company in 1974 as an herbicide with the competent authorities. 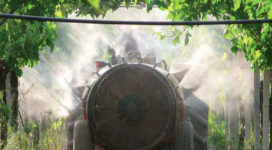 Commercial herbicides are never composed of Glyphosate alone and are instead mixed with other chemical formulants . Glyphosate-based herbicides are the most widely used pesticides in the world, and from 1995 the main pesticides sprayed on GMO plants. Agricultural GMOs such as Roundup-tolerant soy and corn are transgenic plants also for human consumption and animal feed. Most of these plants are modified so as to contain glyphosate-based herbicides such as RoundUp (the herbicide produced by Monsanto), which leads to high levels of residues of glyphosate and other formulants entering the food chain. 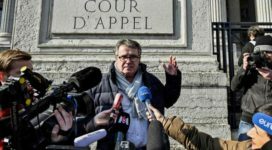 Gilles-Eric Séralini declared the following: “We call for the immediate transparent and public release of the formulations and above all of any health tests conducted on them. 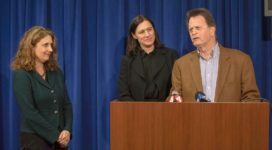 The acceptable levels of glyphosate residues in food and drinks should be divided immediately by a factor of at least 1,000 because of these hidden poisons. Glyphosate-based herbicides should be banned”. 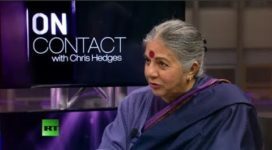 Dr Vandana Shiva, scientist and environmentalist, declared the following: “Dr Gilles-Eric Seralini was the first scientist to do a two-year in depth study on glyphosate and GMOs, which showed the impact on vital organs such as kidneys and tumours and published in reputed scientific toxicology publications. 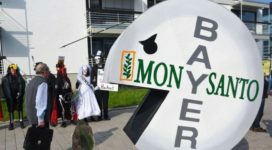 Monsanto has regularly attacked him as was confirmed in the revelations in the Monsanto Papers which show Monsanto’s direct involvement in trying to discredit Dr Seralini. Legal proceedings have established Dr Seralini’s high credentials as an independent scientist and the scientific frauds of Monsanto. Dr Seralini has come up with new findings which provide scientific evidence that the formulants inside glyphosate based herbicides contain toxic heavy metals such as arsenic“. Dr Vandana Shiva concluded with a statement on the global situation, bringing the example of what is happening in India: “It is time society and government wake up to this threat to protect science and public health. They should ban glyphosate/ Round up/GHB as well as round up resistant crops. A CICR-Nagpur reports in April confirmed that Monsanto has illegally planted unapproved Roundup Ready BT Cotton. They should criminally be investigated for poisoning India with arsenic. Monsanto is also promoting the role of Round up (GHB) as a desiccant, thus poisoning our wheats, our dals and our other crops. 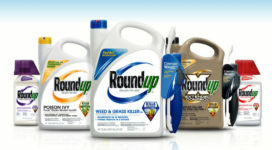 The government needs to ban the use of Round up as a desiccant (spraying poisonous chemicals on crops to dry them faster) and criminally investigate who is responsible for this public health disaster”.